Home Domestic Decor You Know What They Say About Live Christmas Trees…Right? You Know What They Say About Live Christmas Trees…Right? Through the years I have gone back and forth about artificial versus live Christmas trees and wreaths. When I was younger, I did not even know they made an artificial tree because we always had a live tree. I remember being shocked when we went to my Grandmother’s one year for Christmas and she had this fake silver and rotating Christmas tree. My sister and I stared at it in wide eyed wonder wondering where this strange thing came from! When I was single and I lived in a small apartment, I did not have the room or the money for a live Christmas tree, so I had a small ficus tree I would decorate for the holidays! Once I had kids, we tried to do the live Christmas trees when we could. One year my brother gave us a pre-lit artifical tree and we used it for a good number of years. I must admit, when push comes to shove, I prefer the live Christmas trees. If you are looking for gorgeous live Christmas trees and wreaths delivered right to your door, look up Five Star Christmas Trees. No artificial tree can look or smell like the real thing! I have a friend who has a fake Christmas tree and she sprays it with a can of “Live Christmas Tree” smelling stuff. I kid you not! What is the point in that? I prefer live Christmas trees and wreaths because they are breathtakingly beautiful in their natural state and yes, the smell cannot be duplicated. Also, with a live tree, you do not need to worry about storing your fake tree for the next year, especially if you live in a small house like we do. This year I wanted a live Christmas tree but Chris is working so much he has not had the time. With my shoulder surgery, I was not able to go out by myself, so we had just about given up on having a real tree this year. 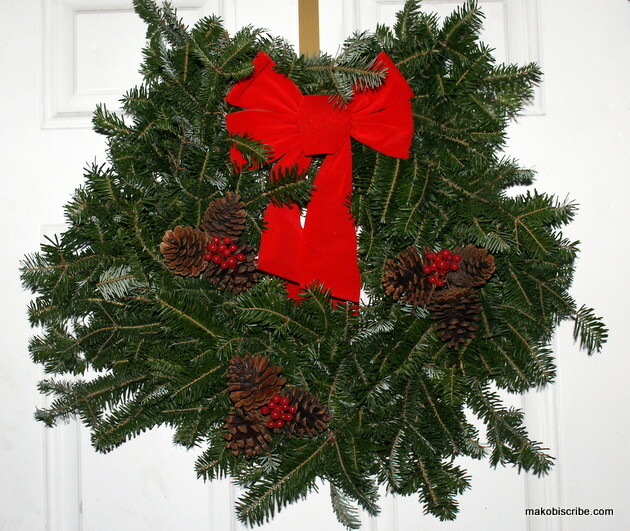 Thank goodness for the fantastic trees and wreaths from Five Star Christmas Trees! They absolutely saved the day in my home and can do the same in yours! 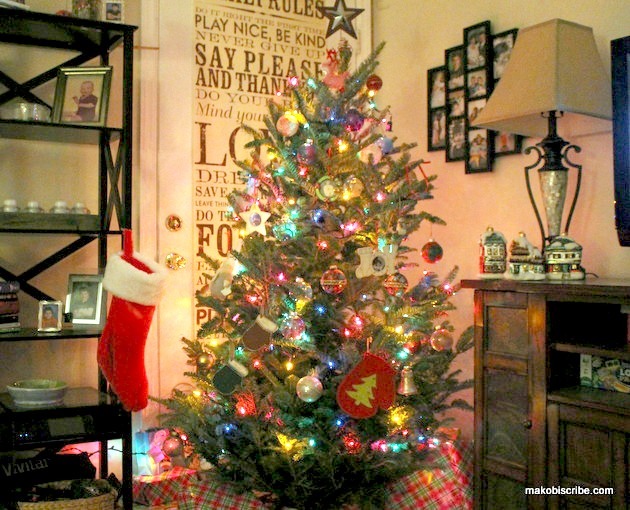 I received the 5-6′ Fraser Fir, which retails for $139 and it is simply gorgeous! You can also get the 6-7′ tree for $159 and the 7-8′ tree for $179.00. I did not know what to expect but I was so pleasantly surprised and pleased when I opened my box and saw our tree. The trees cut fresh from their farms and delivered within the lower 48 states and fees range from free to $25, depending on what zone you live in. My tree was delivered by UPS and came in a box and was wrapped in protective netting inside the box. I cannot tel you how much easier it is to put the tree up in the stand when it is still in its netting! We let the tree fall for a day before we decorated it and it could not be more perfect! The wreath came in its own box and it was already decorated and ready for hanging. I have gotten so many compliments on my beautiful wreath! Although it is too late to place your order for this year, be sure to sign up for their deals newsletter and you will be reminded to order next year. When you sign up for the newsletter, the trees are typically discounted by up to 50% for subscribers, so what a great reason to do it! Be sure to stay current with the latest from and follow them on Facebook and Twitter.